Upon arrival, we will be met and transferred to hotel. 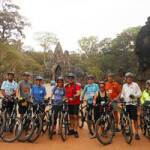 Then, we will check the bicycle for cycling will be starting form this afternoon to explore the capital of Khmer Empire. 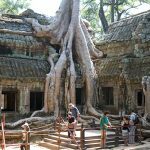 We will spend the full afternoon exploring the main Angkor Wat Temple and we will enjoy sunset at the hilltop temple of Phnom Bakheng. 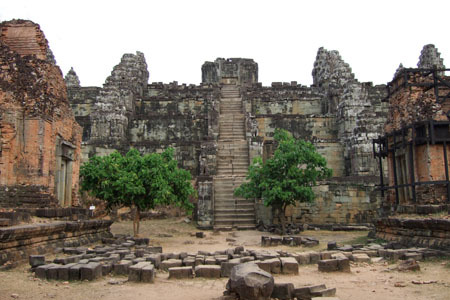 Today, we commence with a ride from the hotel to the South Gate of Angkor Thom Ancient City. 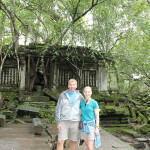 Here we explore the centerpiece of the ancient city, The Bayon. The Bayon contains 54 towers decorated with more than 200 enigmatic smiling faces. 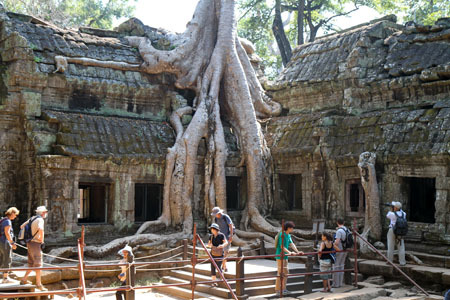 Also included in the morning’s tour is the Royal Enclosure, Phimeanakas, the Terrace of Elephants and Terrace of Leper Kings, as well as The Ta Prohm Temple. 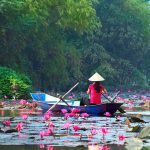 We enjoy lunch in the Angkor Complex before embarking on our discovery of Angkor Wat, easily the most famous and best preserved of all temples within the Angkor complex. 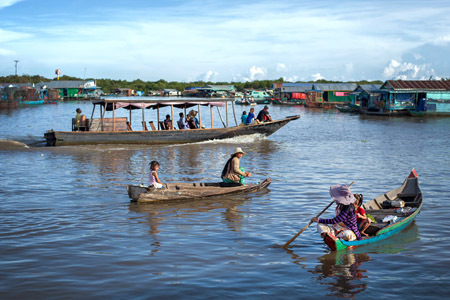 We then ride through hidden paths to the Western Baray, a former Royal Pond. Time to freshen up and drive back to Siem Reap. 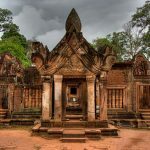 The delightful small temple of Banteay Srey includes some of the most exquisite stone carvings and is wonderfully well-preserved. 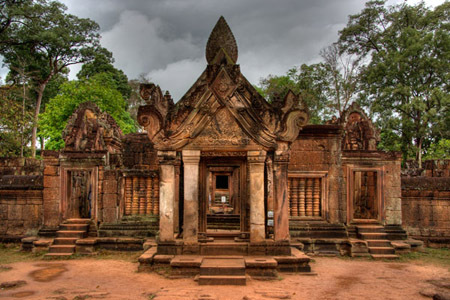 It is one of the smallest sites at Angkor, a Hindu temple cut from stone of a pinkish hue. 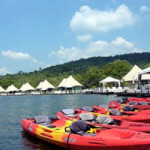 You will be transfer by private transportation through small villages and vivid green rice paddies to reach the site. Children run out of their houses to greet you along the way and there is so much to see – water buffalos happily wallowing in big muddy ponds, cows, pigs, chickens and ducks! Some houses have their own individual frog-farm in the yard – a walled square pond where they breed frogs to eat!. 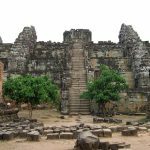 After finishing the visit of the Temple we will drive toward Kuleng Mountain, a holy place in which the stones were taken to build the Angkor Temples. The transport will drop you in the food of the Mountain in order to begin the trek. For 17 kilometers you will enjoy walking through the slush forest and passing by a breathtaking waterfall. Finally we will overnight by tents in the summit of the mountain inside of a monastery. 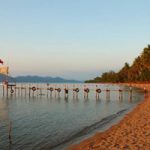 We start the trekking early morning for Svay Leu Village. The transportation will be waiting for us to transfer us to Beang Melea Temple. 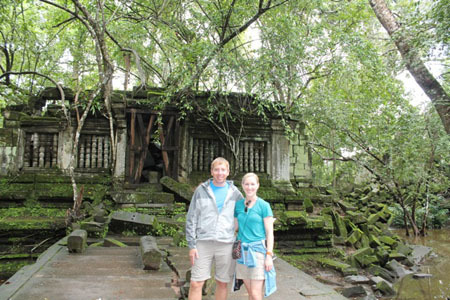 Beng Mealea is a jungle temple covering over one square kilometer. Trees growing firm the broken towers and galleries offer some of the best tree in temple shots aside from Ta Promh. After the visit you will be finally transfered to you hotel in Siem Reap. 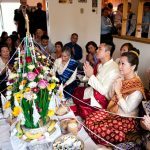 Tonight will follow by dinner accompany by the Apsara performance to describe of Khmer myths. 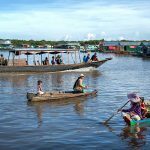 After having breakfast the hotel will be met and transfer visit the floating village of Tonle Sap lake where will see the ancient life style are living on water including floating houses, restaurant, hospital, church, school, store..etc by the boat excursion. The afternoon will transfer to airport for departure flight. 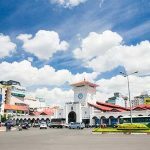 Personal and other expenses such as porter age, bar bills and laundry not stated in the itinerary. Note: For additional accommodation and breakfast at Angkor hotel cost US$25/twin/single/double room per night + breakfast & tax.